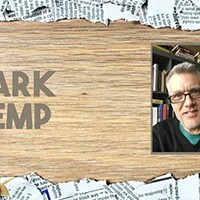 Asheboro, North Carolina, native Mark Kemp has written about music for a long time. Currently the entertainment editor at the Charlotte Observer, he has also logged time at Option, Spin, and Rolling Stone. He's lived all over the country, and interviewed more so-called "famous" musicians than anyone since Byron Allen. 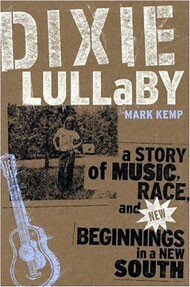 However, Dixie Lullaby: A Story of Music, Race, and Beginnings in a New South (Free Press, 296 pgs., $26.00) shows that the writer has no doubts about where home lies. 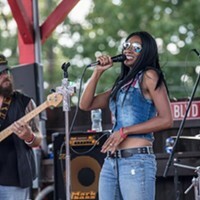 Like many Southerners of his generation, he grew up listening to a burgeoning young genre called Southern rock -- equal parts country, gospel, Brit influence, and soul and R&B. Ten years later, Southern rock had become a joke to many -- redneck music, in so many words -- despite its rather open-minded influences. People happened upon the Confederate flag caps of some of the music's listenership, ignoring the music's profound influence on jam bands (Widespread Panic), rock bands (R.E.M, Drive-By Truckers) and metal acts (Guns "N' Roses, Metallica). For Kemp and others like him (including myself) the music was something else -- an exciting avenue into a new South, where genres were blending as quickly as its people. 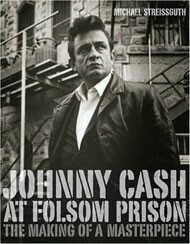 "Folsom was ... a social statement on behalf of disenfranchised peoples," writes Michael Streissguth at the opening of his introduction to Johnny Cash at Folsom Prison: The Making of a Masterpiece (Da Capo Press, 185 pgs., $24). 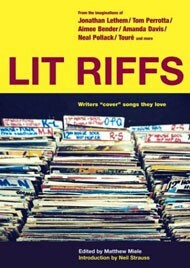 It was, the author contends, "as potent as any such statement in the roiling 60s." Streissguth cites the 1968 record Johnny Cash at Folsom Prison as one of the most important of that turbulent era in his extensively researched and illustrated book chronicling Cash's visit to the infamous California prison. He even declares that by performing in front of "America's modern-day lepers" and releasing it on record, Cash "unapologetically told his listeners that these locked-away men deserved the compassion, if not the liberation, that the 1960s offered." It was, the author declares, a brazen act that none of Cash's peers -- Dylan, Zappa, the Beatles, and Crosby, Stills, Nash and/or Young -- could match with their own supposedly revolutionary music.